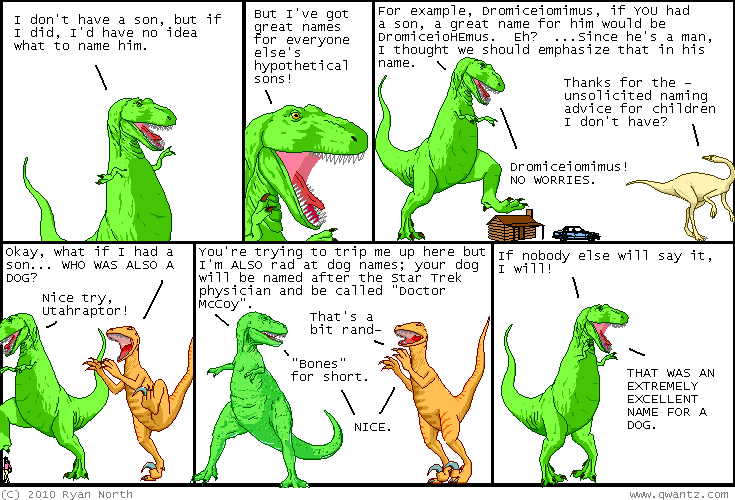 Dinosaur Comics - January 12th, 2010 - awesome fun times! –Neither the past nor the future actually exists! January 12th, 2010: I'm still big into John "Pictures for Sad Children" Campbell's hourly comics! It's 12 new comics a day, all about one dude! That makes it sound worse than it is, bottom line is I quite like them.